I met Buzzy and Ginny in Gordonsville, VA. 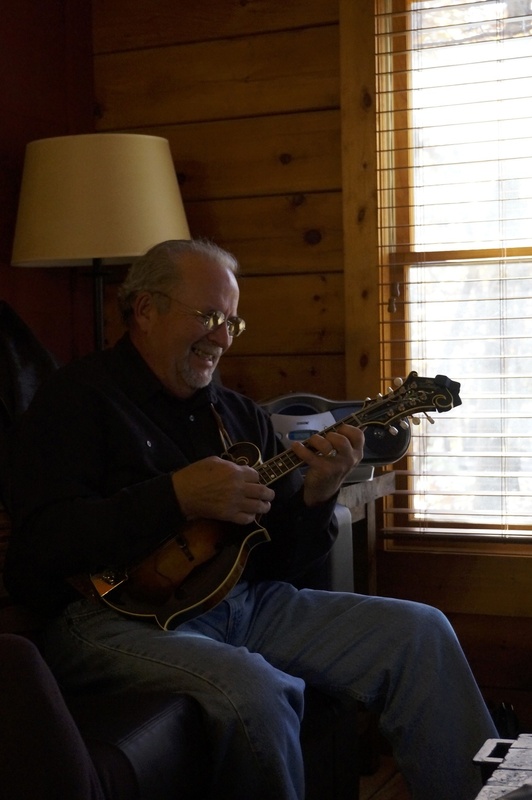 In the afternoon, Ginny and I sat listening to Buzzy on mandolin and Dave picking the guitar. I caught a few tracks. Dave and Buzzy often play together around the fire at the hunt club. You can hear a bit of their friendly rapport in the song tracks. We spent the afternoon out and about, driving around the Virginia countryside. I have to say, Virginia held a stunning beauty at every turn. I interviewed Ginny and Buzzy together.